The 2015 Auto Show press days have wrapped. Thousands of weary journalists, and “journalists” are heading home. We’re hoping to head home soon too. But before we do, we’ll catch you up on the big news of Day 2. 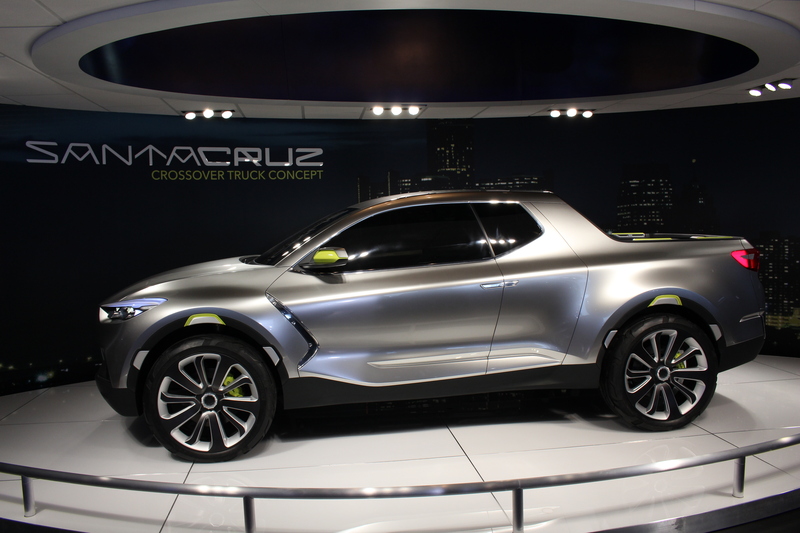 Targeting the new generation of buyers, Hyundai revealed their innovative crossover truck-segment concept vehicle dubbed the HCD-15. Or as everyone at Hyundai calls it, the Santa Cruz. It’s their own interpretation of truck utility that Millenials will love. Hyundai dubs that demographic the, “urban adventurers.” The Santa Cruz will offer seats for 5 and even more cargo space with its innovative tailgate extension. It’s adaptable to what you need at that given point in time. It also has multiple tie-down points around the vehicle, like in the wheel wells. This allows the “urban adventurers” to carry all types of “things.” Hyundai has also given thought to fuel efficiency too. One of their advanced powertrains will include a 2.0L turbo diesel delivering 190 hp and 300 lb-ft of torque. It will also have the option of Hyundai’s HTRAC all-wheel drive system for those looking to adventure into uncharted territory. Let’s see if this HCD-15 can pick up where things like Sport-Trac and Baja left off. 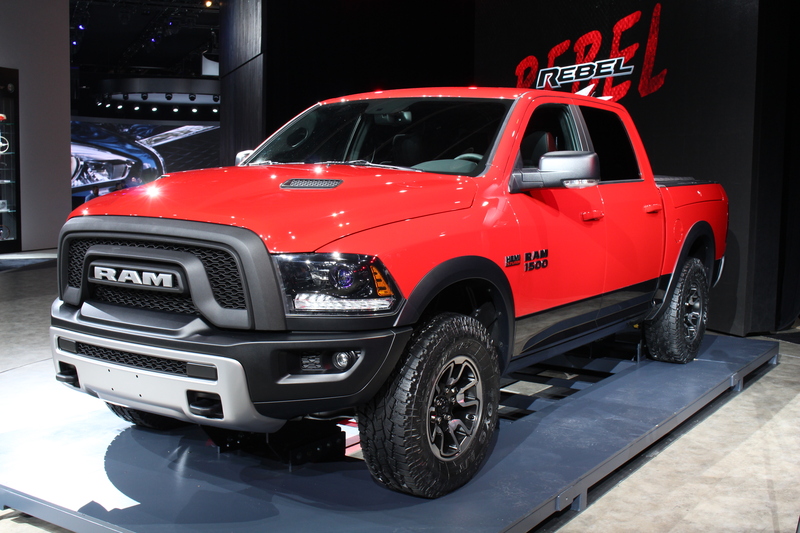 A bold new truck by Dodge was unveiled today—the Ram 1500 Rebel. Outside, Ram took a careful approach to design and create an entirely different looking grille. The blacked-out grille and silver “RAM” lettering stand out over the silver skid plate. It’s unlike any Ram face, ever. The design carries on to the flanks and rear as well with black wheel-arch moldings and flat-black badges. The performance aspects of the Rebel are also very promising. Bilstein supplies front and rear shocks with exclusive tuning. The standard 33-inch tires are paired with 17-inch silver and black cast aluminum wheels. Consumers will be offered two engine options, a 3.6-liter Pentastar V6 (305 hp) or 5.7-liter HEMI (395 hp) and either 4X2 or 4X4 configurations. What do you do with a luxury sport sedan platform you’ve got lying around and a new 5.0L V8 that your engineers just delivered? If you’re Lexus, the answer is to put them together. That V8, the same 467 hp and 389 lb-ft torque-producing engine from the new RC-F, fits snuggly under the hood of the GS sedan. Lexus’ Torque Vectoring Differential and an 8-speed automatic get the power to the rear wheels. 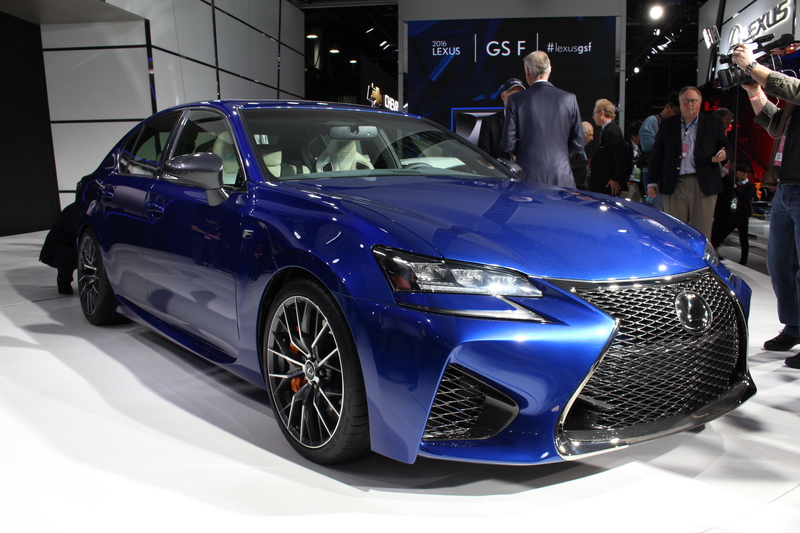 A unique set of “F” suspension components and tuning will ensure that the GS F is one engaging sedan. Infiniti’s Q60 today was Infiniti’s G37 coupe not too long ago. 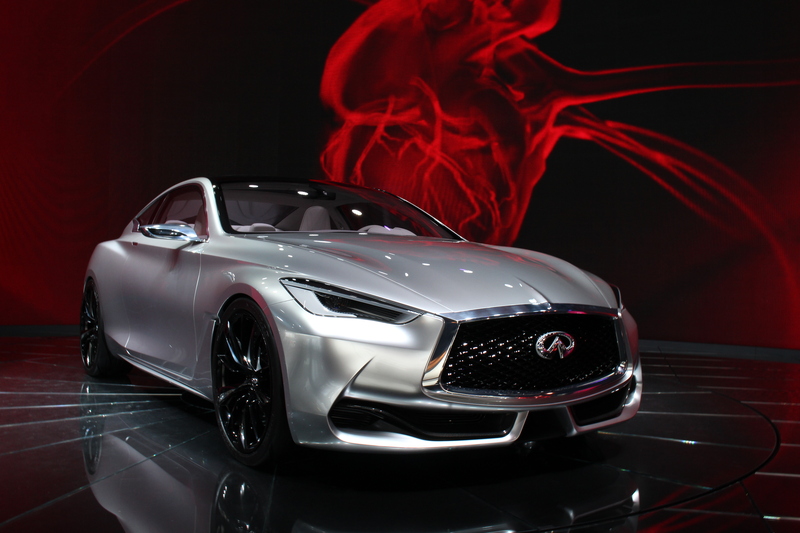 That means this new Q60 concept is probably Infiniti’s new coupe based on the Q50. Infiniti claims that, “It’s unique combination of eye-catching contours, heart-pumping power and high-quality premium finishes gives premium customers a fresh and expressive style icon to which they can aspire.” But since the likelihood of the Eau Rouge concept has dwindled, the “heart-pumping power” will probably come from the venerable 3.7L V6 in the Q50. Except that Infiniti claim to have a new twin-turbo direct-injection V6 in the works. Unfortunately, the Q60 Concept is controlled with a steer-by-wire setup similar to the one that disappointed us in the Q50. What do you do with a luxury sport sedan platform you’ve got lying around and a new supercharged 6.2L V8 that your engineers just delivered? Oh wait…that sounds a bit familiar. Sorry, Lexus, but GM just stole your lunch money. But it also stole BMW’s and Mercedes’ lunch monies too, so don’t feel too bad. With the heart of a Z06, an 8-speed automatic transmission, and a host of chassis and suspension enhancements, this is one svelte sleeper. And the V’s new form is highly functional. The aero improvements provide better cooling and more downforce. You’ll need both of those as you crack 60mph in less than 3.7 seconds. Lincoln delivered the 2016 MKX today. For the eco-friendly mindset, there’s an advanced 2.7L EcoBoost V6 which is projected to deliver more than 330 hp and 370 lb-ft of torque. 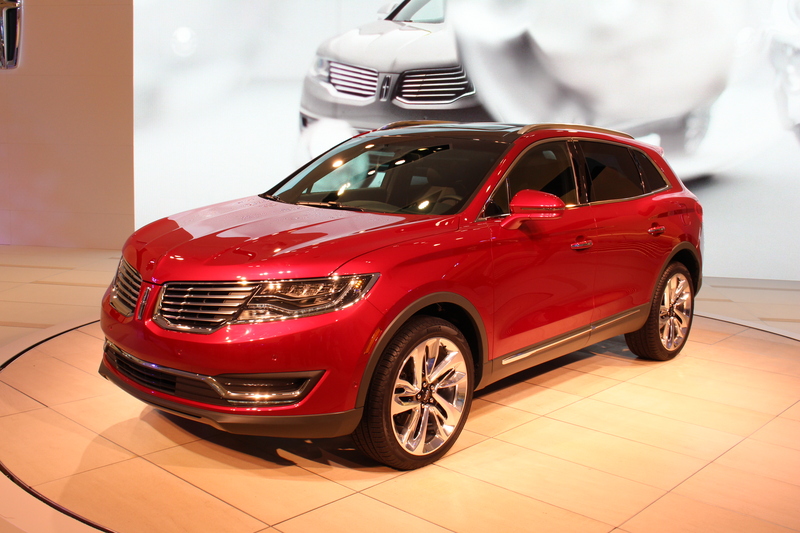 However, the MKX comes standard with a 3.7-liter V6, expected to provide 300 hp and 280 lb-ft of torque. On the technology front, Lincoln offers enhanced park assist with a 360-degree camera, an exclusive Revel sound system, and pre-collision assist. The Revel audio system is an automotive first and comes standard on Lincoln Black Label editions and available on Reserve models. With 19 speakers and strategically placed tweeter, you get a superior audio quality. Adding to the idea of personalization, Lincoln has come out with two new Black Label themes, for a total of four themes. One of them is inspired by fashion, lifestyle and art scene of 1920s Paris, while the other has a vision of high-stakes thoroughbred horse racing. It’ll be interesting to see how these themes unfold. The new XC90 has impressed many. It’s the world’s most powerful and cleanest SUV for 2016. Volvo is proud to deliver “guilt-free luxury SUV ownership.” As we all know, you either sacrifice power or the environment, but maybe not anymore. They are offering a range of Drive-E engine options in order to provide each customer with the right fit and each engine will deliver the right combination of power and fuel-efficiency. The biggest new is with the plug-in hybrid with twin engine technology. It will carry a ‘T8’ badge. 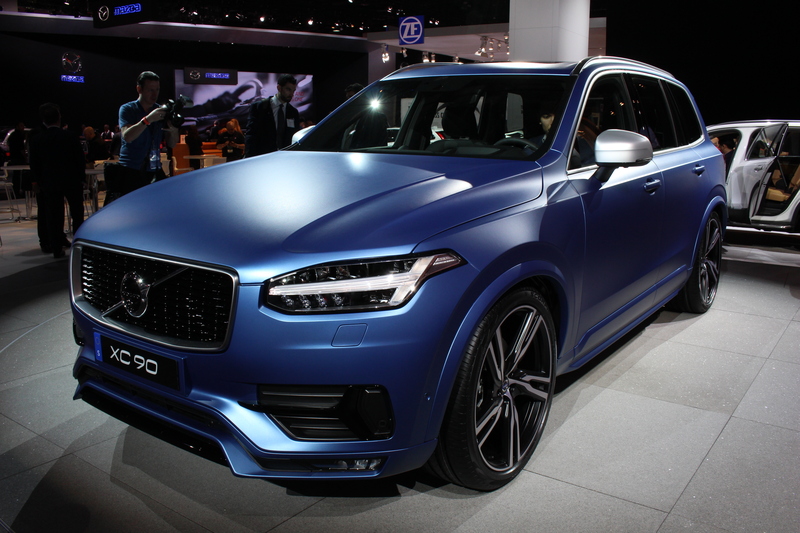 Other big news came with the reveal of XC90 R-Design and it’s certainly a head-turner. You’re given the choice of Drive-E powertrains and a completely new XC90 chassis. R-Design exterior details include: a newly styled grille, lower front spoiler, window in silk metal, R-Design dual tailpipe surround, roof rails and mirror covers in matte silver, and lastly 20-inch or optional 22-inch R-Design alloy wheels. The design carries through to the interior as well with sport seats, pedals, and other special R-Design details. The 12.3” tablet-like touch screen in the center console is also a considerable change from their previous infotainment system. Unfortunately, the matte blue wrap is only for show. Missed something? 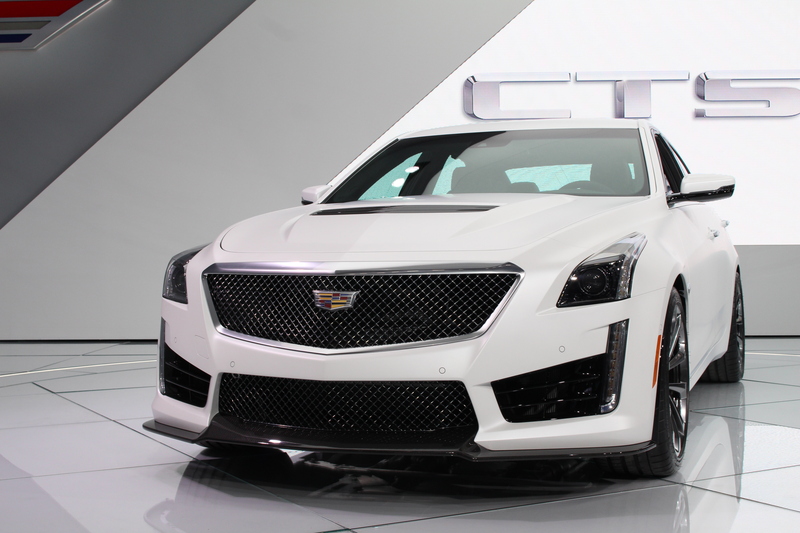 Check out our coverage of Day 1 of the 2015 NAIAS.